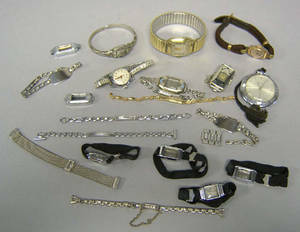 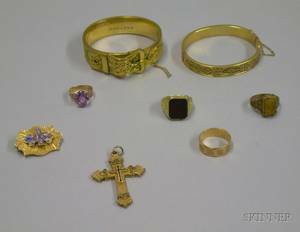 Group of watches and bands to include 14K gold filled bands, 12K gold filled band, sterling band, marquesite band, Harvel watch, etc. 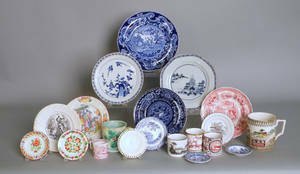 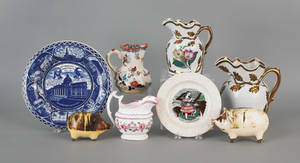 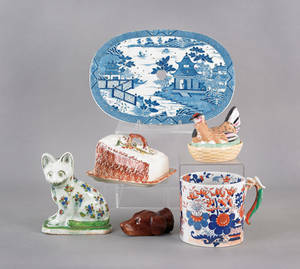 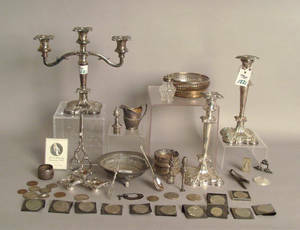 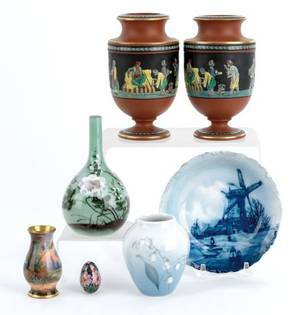 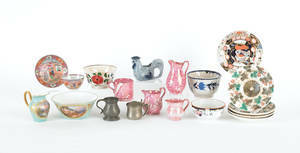 Group of pottery and porcelain to include Staffordshire cup plates. 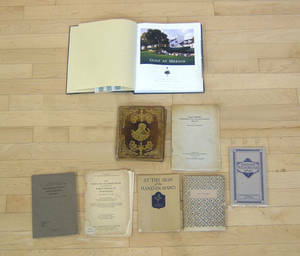 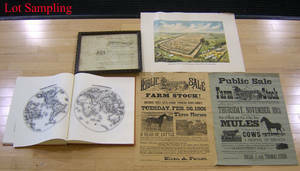 Group of books and pamphlets to include two early auction catalogues.